Allie & Keith coming back from doing her callback for retrieve!!! Topic: Training or Photo Shoot?? Re: Training or Photo Shoot?? Yes, Ronnie is going to be Keith & Bobbi's primary trainer (as Dennis & Eldon had been). My Keith & I have 6 dogs for Keith & Bobbi as well. 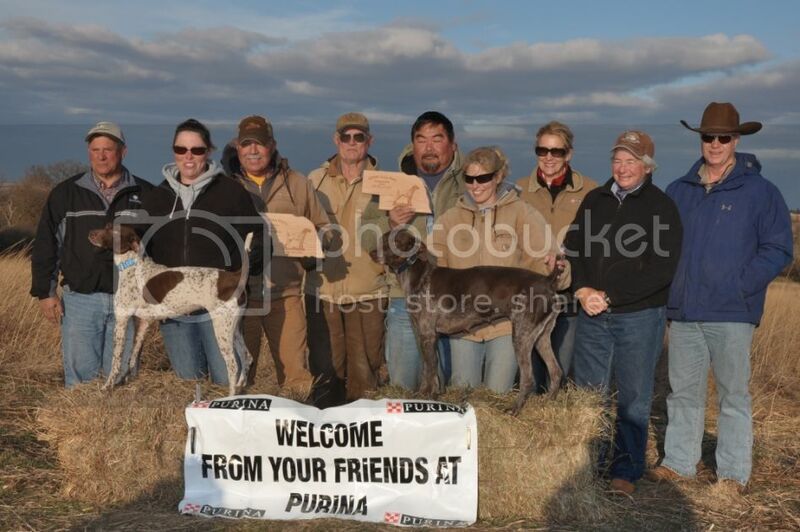 Region 9 OSD: Champion Angie with Eldon Hongo handling, Runner-up Rocky with Gary Moen, 3rd place Mya with Keith Richardson, 4th Jake with Dean Crabbs. Two Judges Award of Merit to~ Henry with Eldon Hongo and Dixie with Steve Pasas. Congrats to all! Congrats to all!!! Sorry we left this morning at 8am so I didn't get pictures. Thanks everyone for the Congrats!! Keith & I are very excited as are Keith & Bobbi. Aussie (whom I bought as an 8 week old puppy from Rich & Joyce Barber of Outbak Kennels) is a wonderful girl. 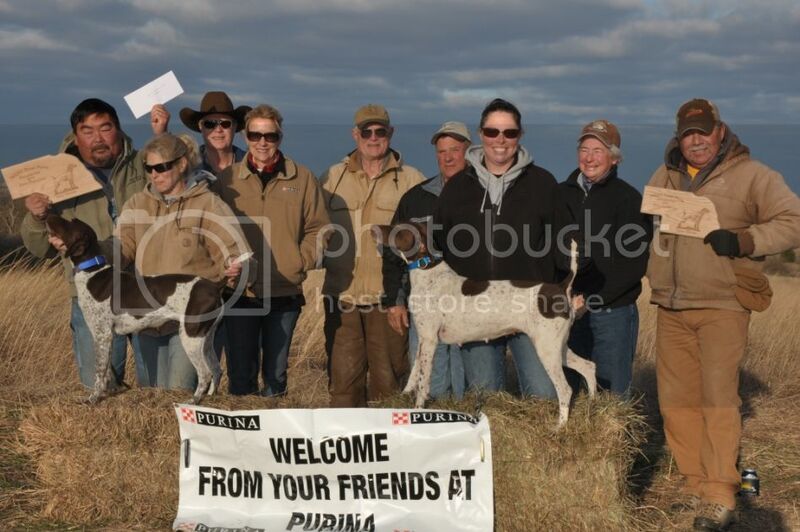 Aussie's win made Blue Dawn Kennels 55th National Title Win. Way to go my Ausmutt!!! NGPDA has been postponed today to start due to weather. Plans are to start Monday morning. 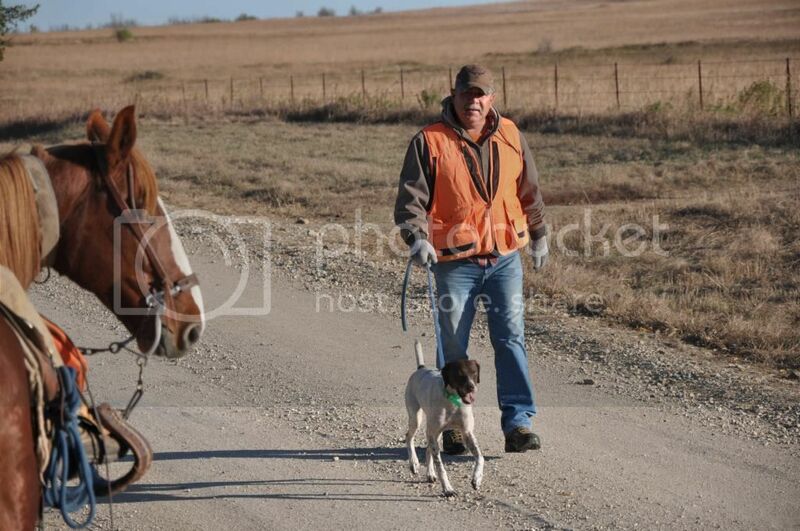 Topic: Do you hunt your trial dog? Re: Do you hunt your trial dog? Keith and I weren't there handling Rip and Aggie because Keith had a torn meniscus in his right knee and had surgery on it this past Wednesday. Rip's owner Mark Wasserman ran him and Aggie was handled by Bryan Long who Aggie started out with in the beginning of his career. 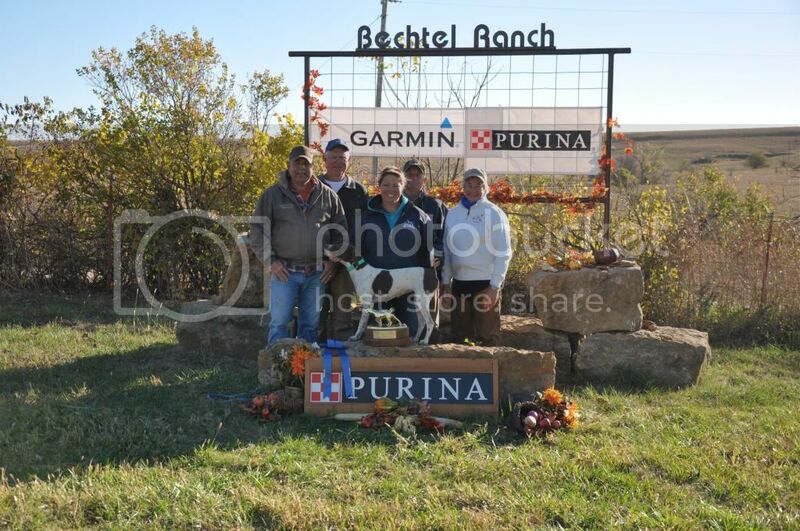 I heard from Bobbi & Keith Richardson a little after 11am cst that their Prairie Wind's Eat Mya Dust "Mya" had won the 2012 NGSPA Invitational under the handle of Dennis Brath!! Congrats to them all. I think so will run on Sat. give Jan Erbe the sec. of both a call and double check. She can give you a good idea. The 2012 NGSPA Rocky Mtn. ASD Championship was won by Chris Bryant w/ Abby, runner up was Mike Patrick w/ Joker and 3rd place is Breaker w/ Keith Richardson. Due to rainey , super windy, snowey, snowey snowey, super cold weather the AAA was cancelled. Joker wins the 2012 NGSPA Rocky Mtn. 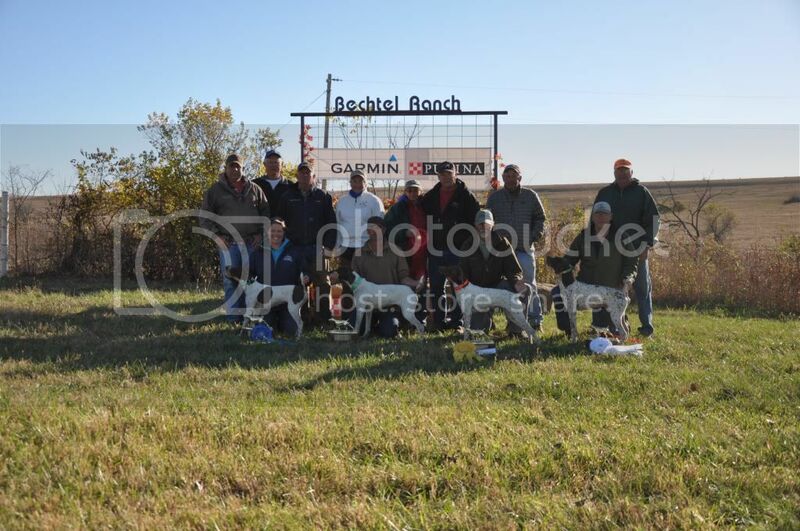 Shooting Dog Championship and Drum "Prairie Winds Connundrum" owned by Keith & Bobbi Richardson and handled by Dennis Brath goes runner up. Congrats to all. The Colorado GSpC start today through the weekend and the RMC will resume on Monday with the ASD and DC. Got word that 1st and 2nd was withheld in the AA and that 3rd was Lenny Morales w/ Sadie (littermate to Joker) and 4th was Bert handled by Dennis Brath and owned by Keith & Bobbi Richardson. The OSD will start this morning with Breaker's brace #3. Still awaiting to hear from Bobbi as to how the AA went. I know we talked to her before noon and Kix and Joker went birdless in the 1st brace and that's all I know for now. Will post as soon as I hear something. We got through brace 6 of the National SD today. We got Aggie "FC H's Hedge Rise Ignited" around with really nice race and 2 finds, NGDC/FC Llano's Big Bad Betty is around with a couple finds. Sorry not sure who got around clean this morning. We have 4 to run tomorrow. Weather is great!! Weather has been great Jerry, little warm some afternoons but good. 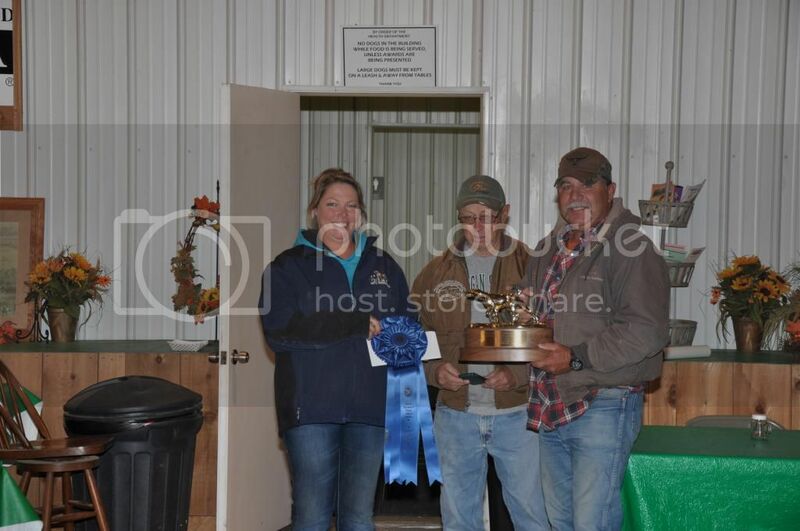 Runner up is Prairie Winds Fast Forward "Bert" owned by Keith & Bobbi Richardson and handled by Dennis Brath. 2012 NGSPA National Amateur Shooting Dog Champion is Uodibar's Angelina with Hayley Killam and runner up is Right Stuff's Wildfire with Bill Padovano!!!! Congrats Hayley & David and Bill!!! !